The Blue Carolina Kit has sold out! We do have a new version available for purchase HERE Scroll down for info and original post. Hi there! 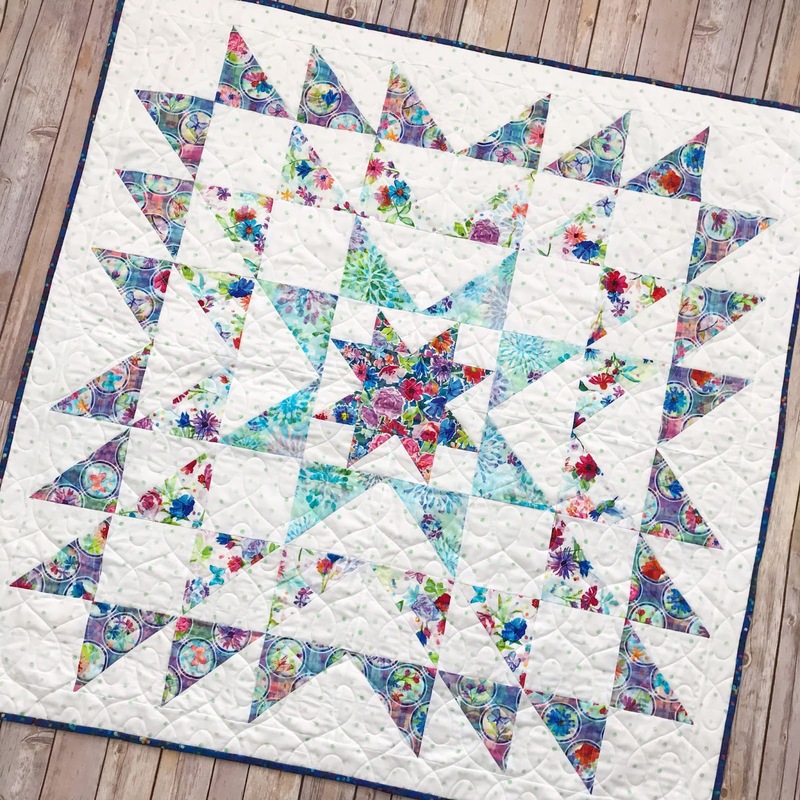 I have a fun new quilt pattern and quilt kit to share with you today! 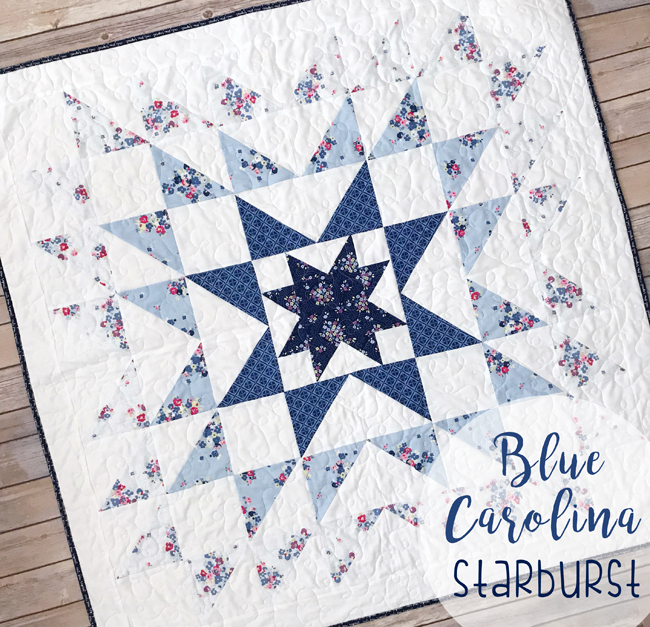 When I saw this lovely new line, "Blue Carolina" - by The Tattooed Quilter, I fell in love! It is full of the sweetest blue prints with pops of pink and smatterings of yellow! It is such a lovely combination, and you will just swoon when you see it in person! I designed this quilt pattern a few months back, and thought this fabric would be perfect for this pattern! 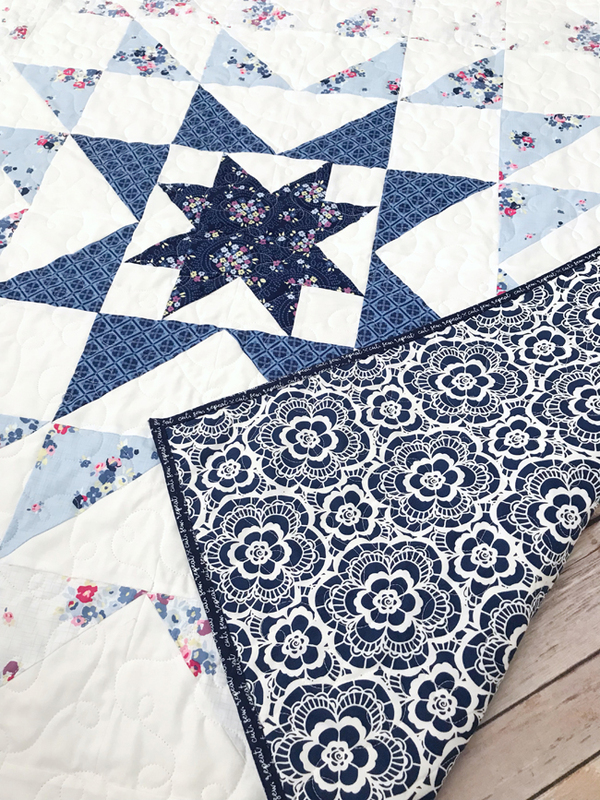 The gradual change from the dark navy to the white is so pretty and makes this quilt POP! 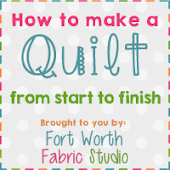 This pattern is so simple, and comes together rather quickly! It is made up of all half square triangles and squares. 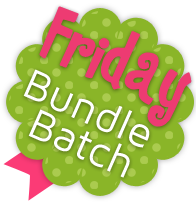 You can easily finish this project in a weekend! 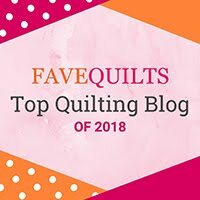 I didn't want the quilting to take over, so I had Primrose Cottage Quilts, just simply quilt it with small loopy loops. I absolutely LOVE the back of this quilt! We picked the navy and white lace print for the back, and it is PERFECT! This print is simply stunning! 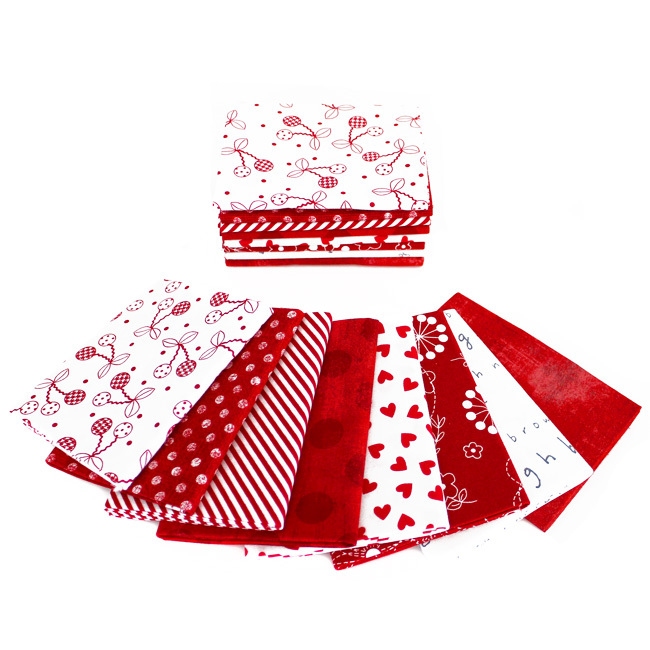 I am thinking I need to stock up on this print for other backings - I love it that much! Beautiful! :) Love the blues! 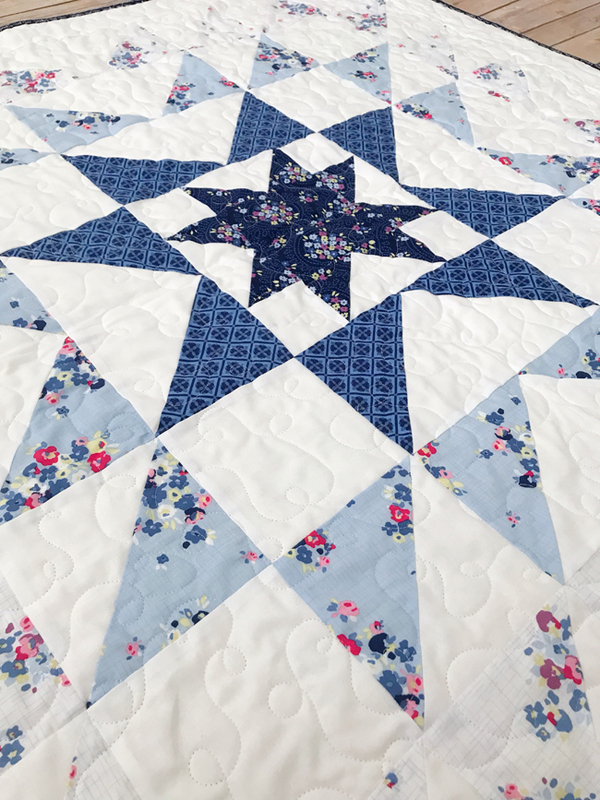 I have seen 100s of beautiful quilts here but this one took my breath away! Lovely pattern and the fabric on the back is great!! Can't wait to make this! !